1979 Revolution: Black Friday is coming to Nintendo Switch too! We already knew that 1979 Revolution, the brilliant game about one of the pivotal moments in Iranian history, was coming to PlayStation 4 and Xbox One. Now we have confirmation that it’s also coming to Nintendo Switch, meaning that regardless of what console you prefer, you’re going to be able to play one of the most important games released in recent years. For more information on what 1979 Revolution is about, be sure to check out our review of the game. We’ve also got release dates for all versions of the game, and the good news is that you’re not going to have to wait long for it at all! The game lands on July 31 or August 1 (PlayStation 4, North America and Europe respectively), August 2 (Nintendo Switch), and August 3 (Xbox One). Seriously, this game is powerful and important, and if you do care about games as a storytelling medium, this one is a must-play. Nathan Fillion (of Firefly and Castle fame) has made no secret of his desire to play Nathan Drake in an Uncharted film. His wish — and the wish of many fans, too — has finally come true, sort of, thanks to an unofficial short film simply called "Uncharted." The 15-minute flick is directed by Canadian writer/director Allan Ungar (best known for the action movie Gridlocked), and stars Fillion as Nathan Drake, Stephen Lang (Avatar) as Sully, and Mircea Monroe (Episodes, Hart of Dixie) as Elena Fisher. Fillion brings his usual quippy performance to the equally quippy treasure hunter, as he escapes from a villain-filled mansion after being kidnapped. As you'd expect, there are plenty of ancient artifacts and secret puzzles for Nate, Sully, and Elena to discover, and plenty of action to go with it. There's nothing official in this; it's purely a fan film, albeit one made by industry professionals. That said, Uncharted 4 director Neil Druckmann shared his admiration on Twitter in the form of a heart emoji. http://twitter.com/neil_druckmann/status/1018926921197838336?s=21 An official Uncharted prequel film is in the works, with Mark Wahlberg attached to direct and Tom Holland due to play a young Drake. I am relatively new to the world of Cthulhu, but all it took was reading the original short story and playing The Incredible Madness of Doctor Dekker http://www.digitallydownloaded.net/2018/06/review-infectious-madness-of-doctor.html for me to become convinced that any slight reference to an octopus is full on Elder God madness. This time it really is, though! 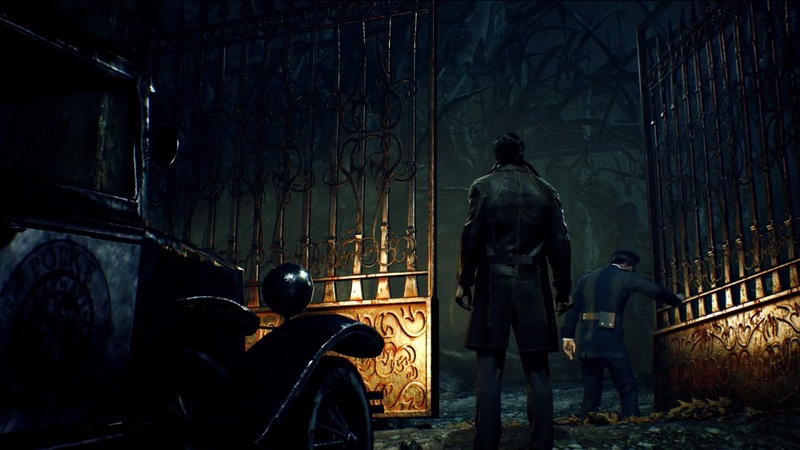 Call of Cthulhu the video game is inspired by the pen and paper RPG of the same name, and will be released this October 30. Anyone else blowing out their pumpkin and hiding in front of a screen this Halloween? The game follows PI Edward Pierce as he searches Darkwater Island for clues regarding the Hawkins family’s most mysterious death. Insanity remains a consistent companion, as you’ll struggle to retain your sanity thanks to disrupted senses, strange figures, mysterious whisperings, and weird science. Call of Cthulhu is an entirely single-player game, possibly best experienced in a dark basement on the most stormy of nights. Upon release, it will be available for PC, PlayStation 4, and Xbox One. But beware... and trust no one. Sometimes you just need a pure gorefest. Something that’s all about rending limbs, splattering crimson, showering in blood. That’s the kind of game that top-down brawler Redeemer promises to be once it lands on PlayStation 4, Xbox One, and Nintendo Switch in August. This is an enhanced version of a game that’s been kicking around on PC since 2017, but since it looks and feels much more like a console-style experience, we think we’ve done the right thing in waiting for it. It features plenty of shooting and melee combat, a party system, the ability to use your opponent’s limbs as weapons, and a co-op mode for people who like their carnage in teams. There’s also two different classes to choose between, and just from a look at the trailer, it actually looks like a decent enough little game. It’s arriving just as the busy season for releases starts to pick up, though, so hopefully it does enough to catch people’s attention.